The name Patek Philippe is synonymous with luxury watches, and at the pinnacle of the Patek range is the Sky Moon Tourbillon. The Sky Moon is so rare and valuable that there is no estimated retail price, and only three are produced each year. Like the Enzo Ferrari, each owner must be a longtime and influential client of the company before securing one of these astronomical timepieces for his own collection. 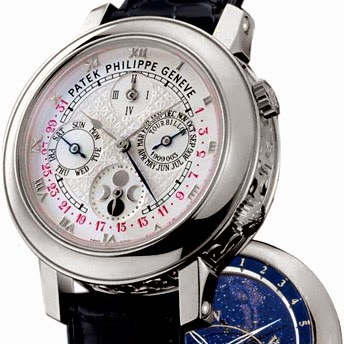 When one of these uber-complicated watches does come up for sale, they usually sell for around $1.3 million. If that isn’t luxury, what is?